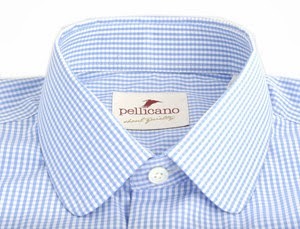 I was recently tweeted by Pelicano menswear, asking my thoughts on their products and, as is only polite, I had a look at their website. I'm afraid to say that I wasn't aware of this company before this point, which is a shame because I love what I found. Pelicano sell shirts, ties and pocket squares of high quality. Their products are designed in London and then produced in Italy by well established family run businesses using local cottons and silks. As far as I can determine, Pelicano represents most of what I like about a company. They have quality items with great design, and their ties and pocket squares are hand made which is something I really appreciate. The Pelicano shirts are also all hand finished with French seams and as an extra nice touch they've got mother of pearl buttons. If this wasn't enough, the Pelicano products give the buyer a certain exclusivity. Each item is only produced in a limited number, so you won't find everyone wearing the same. When you buy an item you will know what number your product is and out of how many. The Pelicano company is relatively new having been established just over a year ago, so their menswear range is still in development. I will definitely be checking their website every now and again to follow this development. I wish Pelicano all the best for the future. This post may seem like shameless promotion but when I find something I really like, I think it's worth supporting it. Take a look at their website and see what you think! Maybe it'll excite you as well. finished with French seams and mother of pearl buttons. 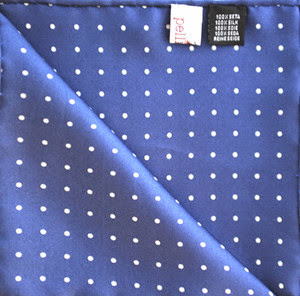 Beautiful hand made silk pocket square. 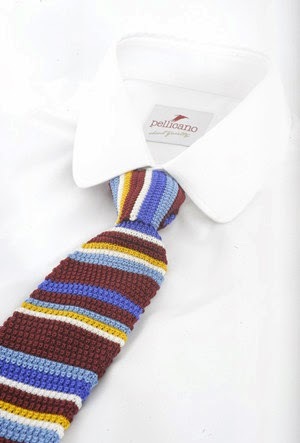 My favourite of the hand made silk ties. From the knowledge based on years of experience and services, we give you an outcome that you wish for your business products. Our experience has given us enough confidence to provide any print demand from one box to one hundred thousand custom packaging boxes wholesale, at the greatest quality.